Translational Investigation of the Therapeutic Potential of Cannabidiol (CBD): Toward a New Age. “Among the many cannabinoids in the cannabis plant, cannabidiol (CBD) is a compound that does not produce the typical subjective effects of marijuana. The aim of the present review is to describe the main advances in the development of the experimental and clinical use of cannabidiol CBD in neuropsychiatry. CBD was shown to have anxiolytic, antipsychotic and neuroprotective properties. In addition, basic and clinical investigations on the effects of CBD have been carried out in the context of many other health conditions, including its potential use in epilepsy, substance abuse and dependence, schizophrenia, social phobia, post-traumatic stress, depression, bipolar disorder, sleep disorders, and Parkinson. Cannabidiol Administered During Peri-Adolescence Prevents Behavioral Abnormalities in an Animal Model of Schizophrenia. 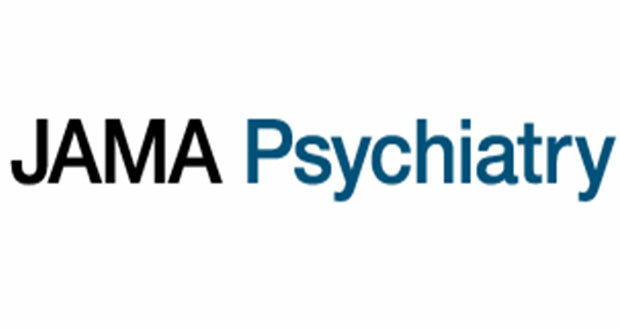 “Schizophrenia is considered a debilitating neurodevelopmental psychiatric disorder and its pharmacotherapy remains problematic without recent major advances. The development of interventions able to prevent the emergence of schizophrenia would therefore represent an enormous progress. 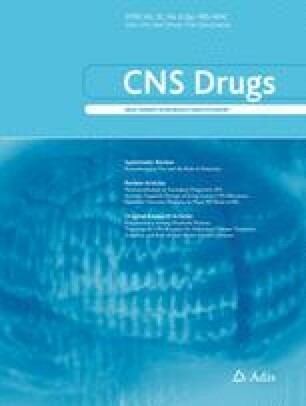 Here, we investigated whether treatment with cannabidiol (CBD – a compound of Cannabis sativa that presents an antipsychotic profile in animals and humans) during peri-adolescence would prevent schizophrenia-like behavioral abnormalities in an animal model of schizophrenia: the spontaneously hypertensive rat (SHR) strain. Treatment with CBD prevented the emergence of SHRs’ hyperlocomotor activity (a model for the positive symptoms of schizophrenia) and deficits in prepulse inhibition of startle and contextual fear conditioning (cognitive impairments). CBD did not induce any of the potential motor or metabolic side effects evaluated. Treatment with CBD increased the prefrontal cortex 5-HIAA/serotonin ratio and the levels of 5-HIAA on post-natal days 61 and 90, respectively. Effect of Cannabidiol on Medial Temporal, Midbrain, and Striatal Dysfunction in People at Clinical High Risk of Psychosis: A Randomized Clinical Trial. “Cannabidiol (CBD) has antipsychotic effects in humans, but how these are mediated in the brain remains unclear. To investigate the neurocognitive mechanisms that underlie the therapeutic effects of CBD in psychosis. Role of the Endocannabinoid System in the Pathophysiology of Schizophrenia: Implications for Pharmacological Intervention. “The term schizophrenia describes a group of multifaceted psychiatric conditions causing significant impairment of the quality of life of affected patients. Although multiple pharmacological treatment options exist, e.g. first- or second-generation antipsychotics, these therapeutics often cause disturbing side effects, such as extrapyramidal symptoms, prolactin increase, sexual dysfunction and/or metabolic syndrome. Furthermore, cognitive impairments and negative symptoms, two factors significantly influencing the course and outcome, are not sufficiently addressed by the available antipsychotics. Since its discovery, multiple clinical and preclinical studies have linked the endocannabinoid system to schizophrenia. Both the endocannabinoid anandamide and the cannabinoid CB1 receptor are deeply linked to underlying disease processes. Based hereon, clinical trials in schizophrenia have explored cannabidiol, a primary component of Cannabis sativa, and rimonabant, a partial antagonist to the CB1 receptor. While the latter did not reveal positive results, cannabidiol significantly ameliorated psychotic symptoms, which was associated with an increase in anandamide serum levels. However, the exact mechanisms of the antipsychotic effects of cannabidiol are not fully understood, and, furthermore, only a limited number of clinical trials in humans have been concluded to date. Cannabidiol as a Promising Strategy to Treat and Prevent Movement Disorders? Pharmacological properties of cannabidiol in the treatment of psychiatric disorders: a critical overview. “Cannabidiol (CBD) represents a new promising drug due to a wide spectrum of pharmacological actions. In order to relate CBD clinical efficacy to its pharmacological mechanisms of action, we performed a bibliographic search on PUBMED about all clinical studies investigating the use of CBD as a treatment of psychiatric symptoms. Findings to date suggest that (a) CBD may exert antipsychotic effects in schizophrenia mainly through facilitation of endocannabinoid signalling and cannabinoid receptor type 1 antagonism; (b) CBD administration may exhibit acute anxiolytic effects in patients with generalised social anxiety disorder through modification of cerebral blood flow in specific brain sites and serotonin 1A receptor agonism; (c) CBD may reduce withdrawal symptoms and cannabis/tobacco dependence through modulation of endocannabinoid, serotoninergic and glutamatergic systems; (d) the preclinical pro-cognitive effects of CBD still lack significant results in psychiatric disorders. “Multiple sclerosis (MS) is a demyelinating disease of the central nervous system (CNS) that affects an estimated 2.3 million people worldwide. The symptoms of MS are highly varied but frequently include pain, muscle spasticity, fatigue, inflammation, and depression. These symptoms often lead to reduced physical activity, negatively impact functional mobility, and have a detrimental impact on patients’ quality of life. Although recent years have seen significant advances in disease modifying therapy, none of the current treatments halts or cures MS related symptoms. As a consequence, many people with MS (PwMS) look for alternative and complementary therapies such as cannabis. The cannabis plant contains many biologically active chemicals, including ~60 cannabinoids. Cannabidiol (CBD) and Δ9-tetrahydrocannabinol (THC) are typically the most concentrated chemical components of cannabis and believed to primarily drive therapeutic benefit. There is evidence that CBD has a number of beneficial pharmacological effects. It is anti-inflammatory, antioxidative, antiemetic, antipsychotic, and neuroprotective. The review of 132 original studies by Bergamaschi et al. describes the safety profile of CBD by highlighting that catalepsy is not induced and physiological parameters (heart rate, blood pressure, and body temperature) are not altered. Moreover, psychomotor and psychological functions are not negatively affected. High doses of up to 1,500 mg per day and chronic use have been repeatedly shown to be well tolerated by humans. Additionally, there is also evidence that CBD may reduce the negative psychotropic effects, memory impairment, and appetite stimulation, anxiety and psychotic-like states of THC while enhancing its positive therapeutic actions. Anecdotal reports indicate that an increasing number of PwMS use cannabis (medical marijuana) as a supplement to improve their mobility.